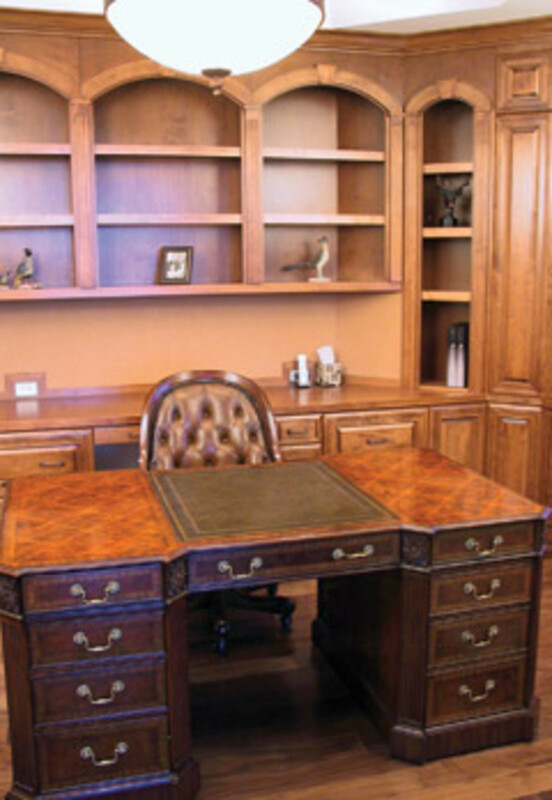 As the company name implies, Hands-On Woodworking Inc. prides itself on working directly with the client. 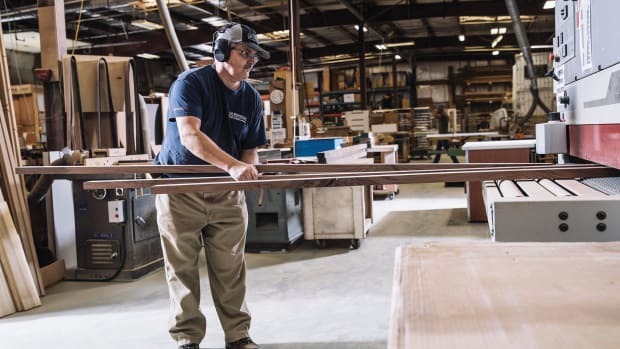 Located in Cornelius, N.C., just north of Charlotte, the custom cabinetry shop provides a wide range of products and services to many residential and commercial clients located within an hour’s drive, and also some from across the country. Owner Mark Aspland, who founded the business in 1988, has grown the company from a backyard operation to a 24,000-sq.-ft. facility featuring state-of the art machinery. His 15 employees include skilled craftsmen, project managers and designers. 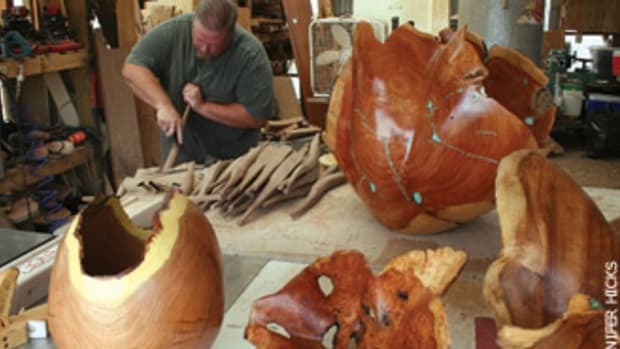 Mark Aspland Owner of: Hands-On Woodworking Location: Cornelius, N.C. Employees: 15 Shop size: 24,000 sq. 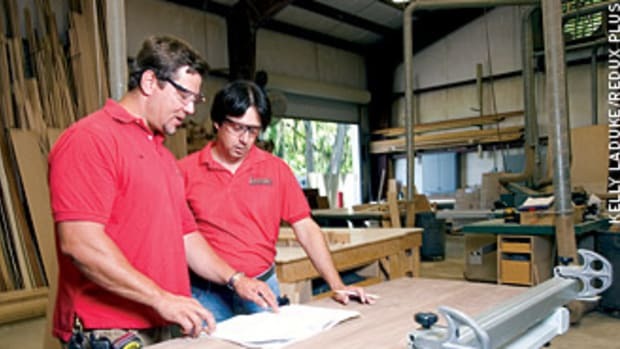 ft. About: Specializing in custom woodworking solutions for homes, offices, and commercial properties, the company has established a network of satisfied clients, with 90 percent of orders coming from referrals or return clients. Average gross: More than $1 million. Until recently, the company always emphasized cabinetry outside of the kitchen. 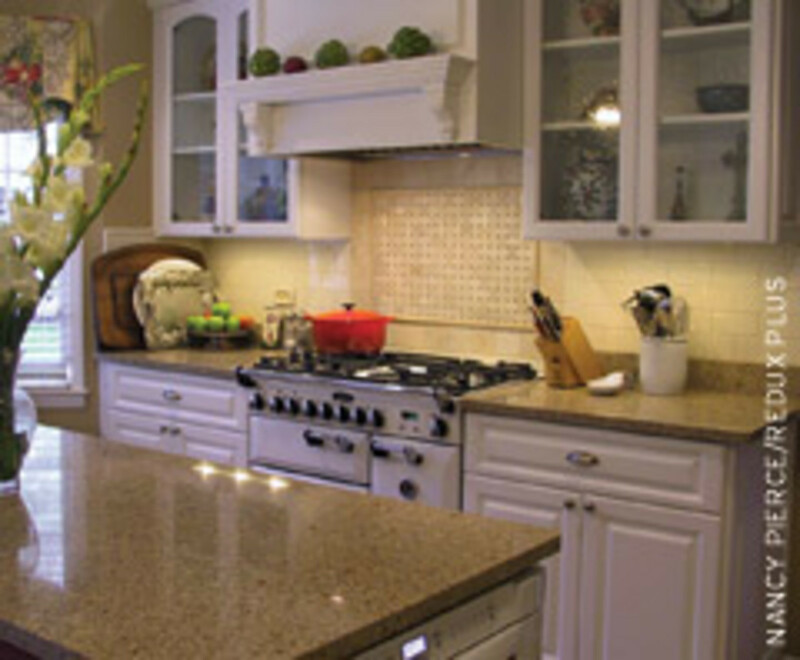 But with the market for new home construction dwindling, Aspland is focusing on kitchen remodeling. 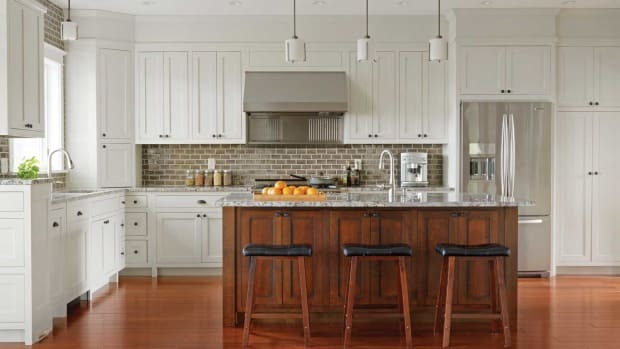 Residential projects, which make up half of the business, include custom kitchens and baths, closet systems, cabinets, home offices, entertainment centers, bookshelves, built-in pantries and other storage solutions. Aspland is currently working on his remodeling business plan to increase profits and update his shop, which he says will assure a vast array of offerings will be available to clients in future years. “The biggest challenge for us right now is generating enough sales volume and getting the profit margin I need to keep my shop infrastructure up to date. I’ve got a 12-year-old CNC router that I want to replace, but this recession has lasted so much longer than anyone thought it would,” says Aspland. Aspland got his motivation from his father, who worked as an insurance executive. Born in Macon, Ga., Aspland moved to Philadelphia at a young age. His high school featured an extensive amount of industrial woodworking tools that enabled him to build a canoe and other projects. He was hooked, and built furniture on the side. That interest brought him to North Carolina State University in Raleigh, where he finished a degree in forestry management. He started working in the retail building supply industry and eventually wound up with Weyerhaeuser Company. He began in a shed in his backyard and was soon renting his neighbor’s shop and hiring his first employee. He then leased a 5,000-sq.-ft. facility before moving to his current location in 2001. Closet systems made up 80 percent of the business for the first three years, and now make up only 20 percent, says Aspland. Until about five years ago, all the work was in the residential sector. Aspland initially established his clientele by soliciting small retail shops and contacting architects, designers and builders to see if they had any work for him. By the mid-1990s, the economy was thriving and the shop had tapped the high-end residential and commercial markets. “When I first went into business, there were only a few homes in the Charlotte market and that just exploded through the mid-1990s to 2005. We started doing a lot of high-end work. The workforce grew to 32 employees during the boom. “We’ve seen our average invoice plummet from whole home packages selling for $50,000 to $80,000, down to single orders for a small built-in or closet. The average invoice has really gone down since 2007, and I’m definitely seeing more tire kickers right now than ever before,” says Aspland, adding that he is currently busy with commercial contracts and starting to see some activity on the residential side. Even though he yearns for the four-month backlog he once had, Aspland is very cautious about taking on work too quickly these days. That’s because he often observes commercial retailers approaching home improvement service providers as if they’re desperate for work because of the economic downturn. While many contractors sell themselves short, Aspland stands his ground and refuses to underbid on a project that might cause him to lose money. On the residential end, Aspland says homeowners understand they’re going to have to pay to get the results they want. “They know that if they don’t, they’re not going to get the right service, quality and all of the things they expect,” he says, adding his current backlog is six to eight weeks. All project designs are made by a network of design specialists who are both employees and subcontractors with CAD programs. Aspland says his use of these specialized professionals gives the company an edge against the competition. On the residential end, Aspland says clients are gravitating away from the traditional style for their home casework packages. 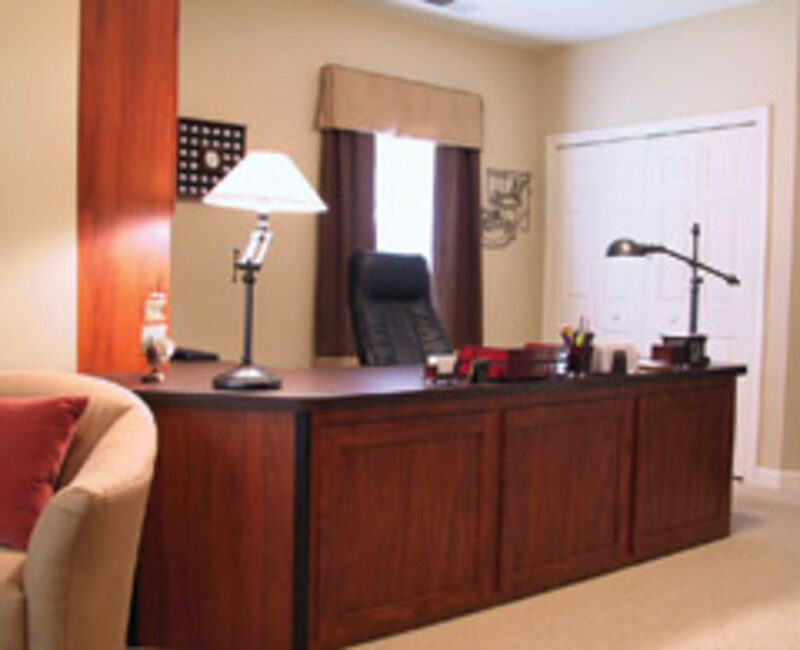 Clients are moving toward darker color preferences in both wood and finish selection. Maple, cherry and walnut are generally the leading wood preferences, but lately Aspland has been trying to push more offbeat local domestic species such as sycamore and ash. 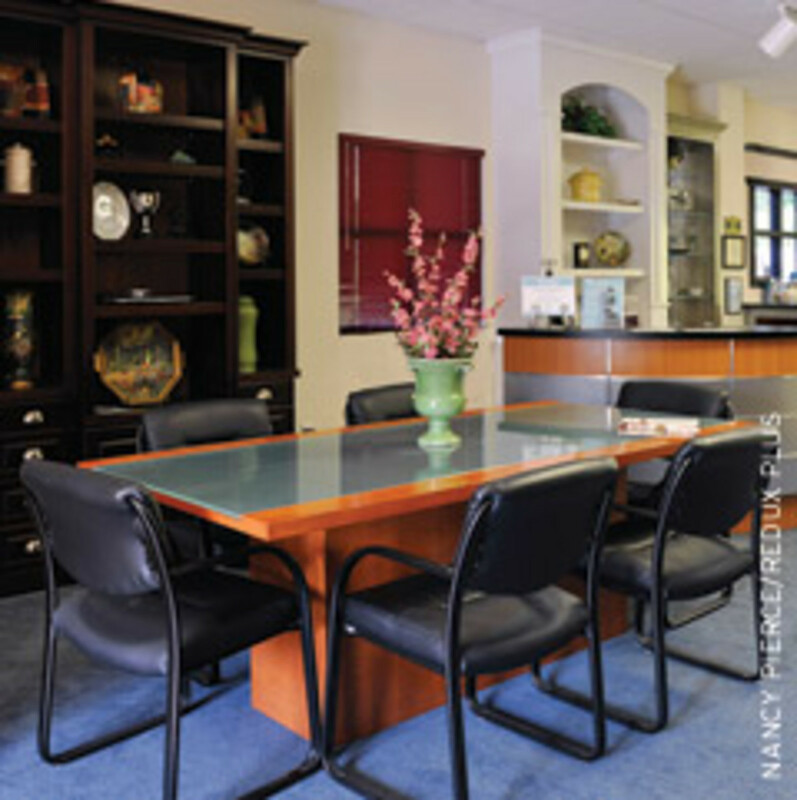 Commercial projects include auto dealerships, medical and dental office reception desks and break rooms. Random custom millwork projects are also done for jobs requiring a CNC router. 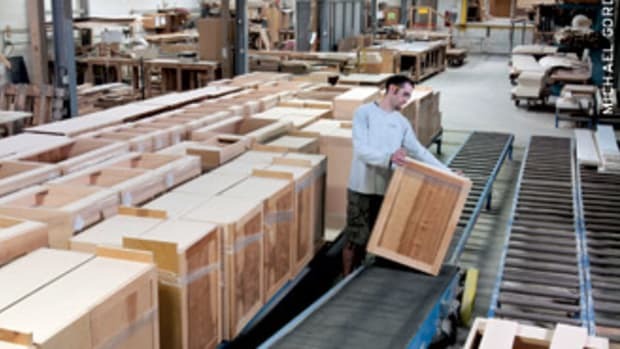 This range of offerings is accomplished by the shop’s major machinery, such as the Komo 508 Innova CNC router; Altendorf F45 sliding table saw; and Holz-Her 1416 Sprint edgebander. Primary software programs used for drawing and machining include AutoCAD, CADCode, and 20-20 Design. 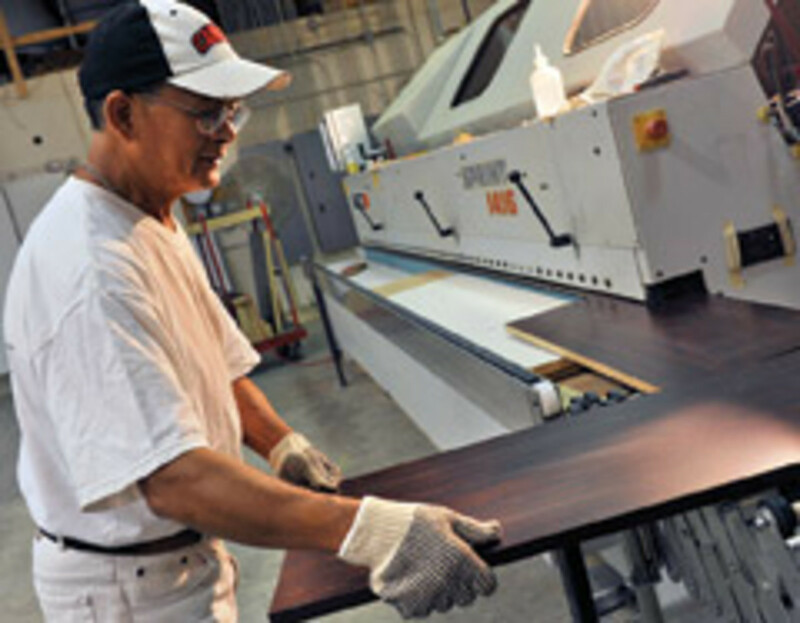 Finishing is performed in-house, primarily with M.L. Campbell products, while subcontractors are hired for installs. 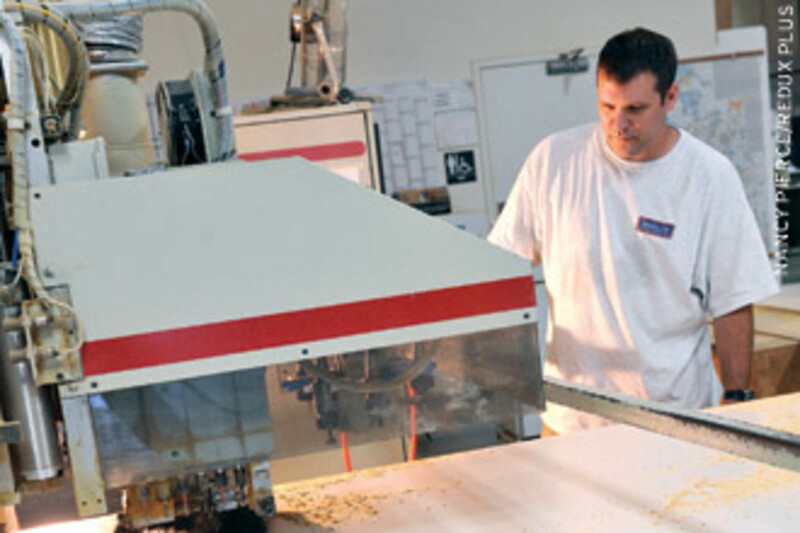 Aspland emphasizes that the quality of his personnel has contributed to the shop’s success. “They all have a very high skill level. It’s difficult to keep good people like that, but fortunately for me, the turnover rate is low and most employees have been here at least 10 years,” he says. 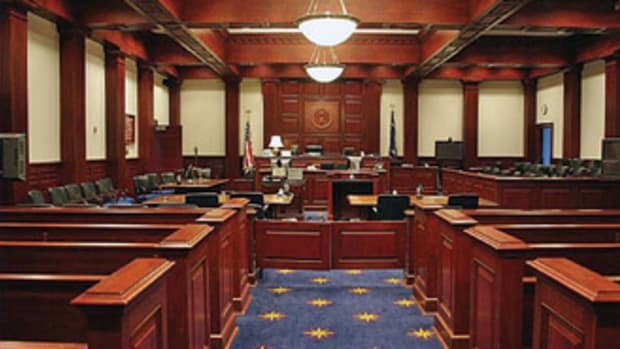 Employees are offered a retirement package, paid vacations and holidays, and health insurance. Aspland’s interests outside of work include spending time with family, sailing competitively on nearby Lake Norman and playing the guitar. He adds that he’s extremely content with an established career in woodworking. 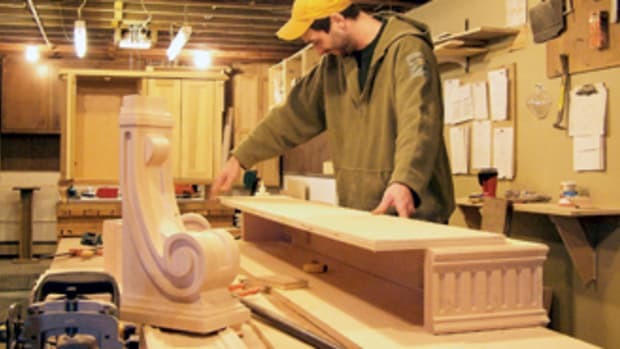 Suppose you have a cabinet shop in, say, the upper Midwest, and you’re looking to relocate.